"I am very pleased with the care I am receiving at Pain Medicine Group." "Dr. Burns is very kind. She actually took the time to explain everything to me..."
"Dr. Radahd is an excellent physician and tops when it comes to treating chronic back..."
"Really grateful to Dr. Radahd and her staff for all the care I've received so far." "I would recommend Dr. Radahd to anyone. She honestly cares about her patients' well..."
"Dr. Radahd is friendly, compassionate and professional. Her staff is one of the best." "Dr. Radahd is always personable and caring! She knows her stuff & has been a godsend..."
"Dr. Radahd is my hero...she gave me back my quality of life. The staff is wonderful..."
"I love Dr. Radahd. She is patient, kind and explains everything she does first." With a team of highly trained pain management specialists, including Mauna M. Radahd, MD, Michael A. Worobel, DO, Jason C. Tse, DO, and Dr. Cordova-Ogg, MD, focused on identifying, treating, and alleviating the symptoms of chronic pain, Pain Medicine Group takes a multidisciplinary approach to care. The team combines cutting-edge medical technology with personalized care to help patients find relief from their pain at three convenient locations in Fort Myers, Sarasota, and Oviedo, Florida. 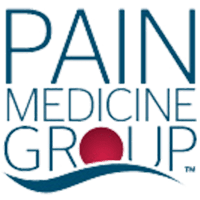 The experts at Pain Medicine Group have undergone specialized, intensive training in chronic pain issues, and they use interventional as well as advanced treatments such as stem cell therapy, to provide the best pain management options to men and women throughout Central and South Florida. At Pain Medicine Group, patients undergo a thorough examination, which is used to create a personalized treatment plan. 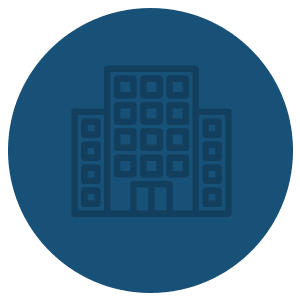 Cognizant of patients’ time, all procedures and treatments, including physical therapy, are done on an outpatient basis at the office, so there’s no need to drive to multiple locations for comprehensive care. 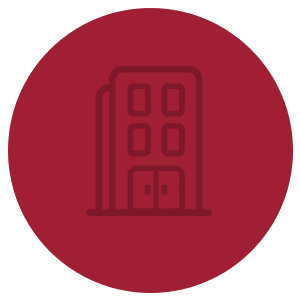 The team at Pain Medicine Group treat a wide range of pain-causing conditions, including sciatica, fibromyalgia, and arthritis, and they particularly specialize in pain that affects the back and spine. For treatment aimed at resolving your pain and its underlying conditions, as well as restoring your function and mobility, call Pain Medicine Group today or schedule an appointment using the online booking button to see Dr. Worobel in Fort Myers, or Dr. Radahd or Dr. Tse in Oviedo. 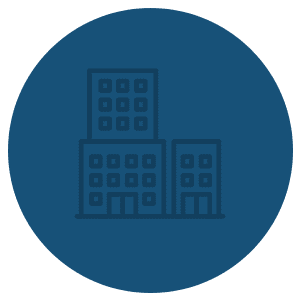 At Pain Medicine Group, we focus on chronic pain disorders and aim to reduce or eliminate patient pain levels in order to increase everyday functions. Instead of simply masking the symptoms our patients are experiencing, we identify and treat the source of the pain. Our intensively trained staff is equipped to meet the needs of each patient who enlists our professional pain management services. Our highly reputable medical professionals will go the extra mile to help you obtain the highest level of pain relief possible. We will not quit until we find a treatment plan that allows you to live comfortably again. You deserve a pain-free future. “After many years as an Army Ranger my body had so many injuries I had lost count. I have had multiple surgeries and tried many different forms of treatment. However, I was still in severe pain which kept me from doing the things I wanted and needed to do in my life. I was unable to work because of pain. I came to the doctors at the Pain Medicine group some years ago and they were able to help relieve my pain!" See how well you know fibromyalgia. Take the quiz today! Radio frequency ablation is a highly successful treatment for spinal nerve pain. Whether you’re making calls all day or scrolling through social media while standing in line at the grocery store, your phone usage could be contributing to your chronic neck pain. "Within a few months of my first visit, I was nearly pain-free, thanks to different interventional modalities of treatment. Dr. Worobel is a master at treating..."
"Dr. Burns explained everything very well and I feel like she made progress that 5 other physicians couldn't do for me. I highly recommend this practice." "...I started receiving treatment with Dr. Mauna I finally can sleep with almost no pain and start walking without the walker." "I've had chronic pain for years. This is the first time I've been able to play with my grandkids in years! Very grateful to Dr. Radahd." "I highly recommend her for anyone who's been suffering with chronic pain like myself. So thankful for Dr. Radahd!" "Dr. Radahd quickly came up with a course of treatment and allowed me to go back to a normal life. I would recommend her to anyone." "I would recommend Dr. Radahd to everyone. I went to her three times and she helped my back pain go away forever. She is a really sweet and nice person." "Thank you Dr. Radahd for your compassionate and effective treatment! I will recommend you to all of my friends..."
"I love Pain Medicine Group and all of the people in it. I have been a patient for about 6 years now or so and they truly have been a big help in managing my pain."